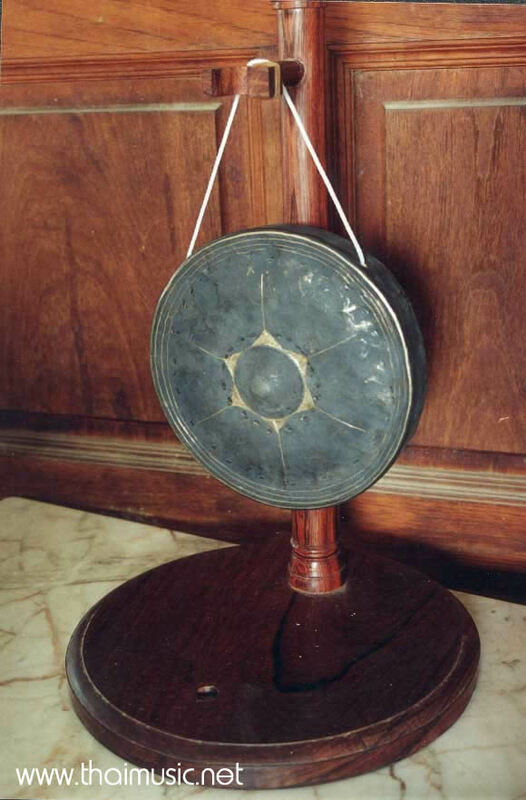 Thai instrumental ensembles use several different types of gong but one of the most common is pictured here to the right. The Kong Mong (Khaw-ng Mong) .Like many words in the thai language the sound of the object has an influence on the name. This is true of the Kong Mong which is named after the sound that eminates from the instrument, namely a "Mong" sound. In olden times drums and the Kong were used to anounce the time of day and night. Usually the gong in the day time and the drum at night. The Thai have had gongs and drums in their musical ensembles for a long time. Email This Page to your friend!